White Patches (Vitiligo) is a skin disorder that affect several people. Fortunately, today a lot of new and advanced treatments are available to heal most types of skin diseases. Amongst them, the ultraviolet treatment is one of the most advanced treatments today. White patches on skin, also known as vitiligo is a skin condition in which there is a loss of color (pigment) from areas of skin. These areas of white patches slowly grow and spread over time but the skin feels like normal. UV Comb is known to be highly safe and effective for many skin conditions like vitiligo (white patches treatment), psoriasis, eczema, and etc. Why UV comb for white patches treatment is getting popular? White patches are often highly noticeable condition affecting the skin of many people in the world. 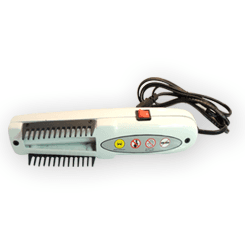 UV Comb - one of the most widely used for white patches treatment and other skin conditions. Treat your white patches with UV Comb which is lightweight and easy to handle and clean that makes it ideal for the home treatment. 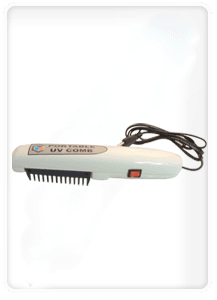 UV Comb is safe to use and represents an innovative solution to white patches and hence become popular. Ultraviolet light works to kill the immune cells in the skin that cause the condition. UV Comb has the best track record in stimulating the re-pigmentation. For this reason, it has become an effective first-line choice for white patches treatment.